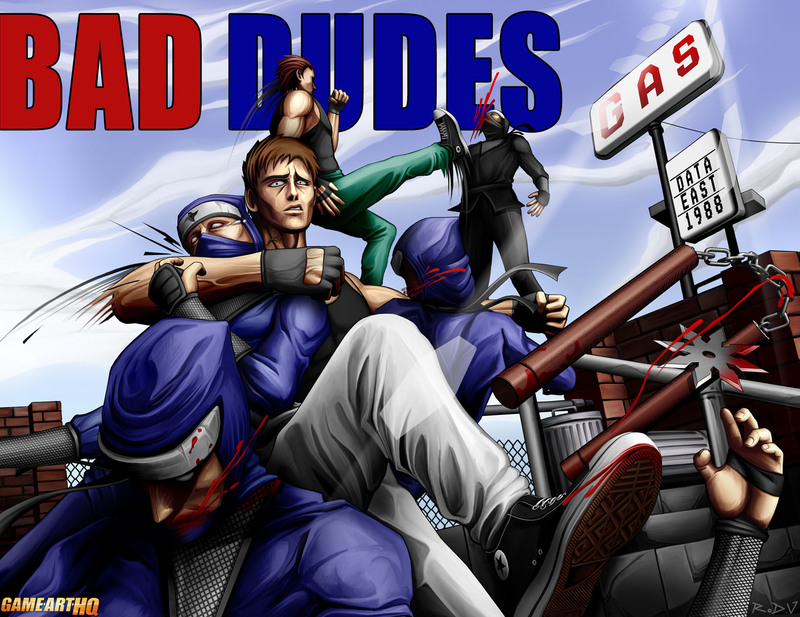 Bad Dudes Vs DragonNinja is the currently oldest game which was claimed by an artist for our beat’em up tribute. 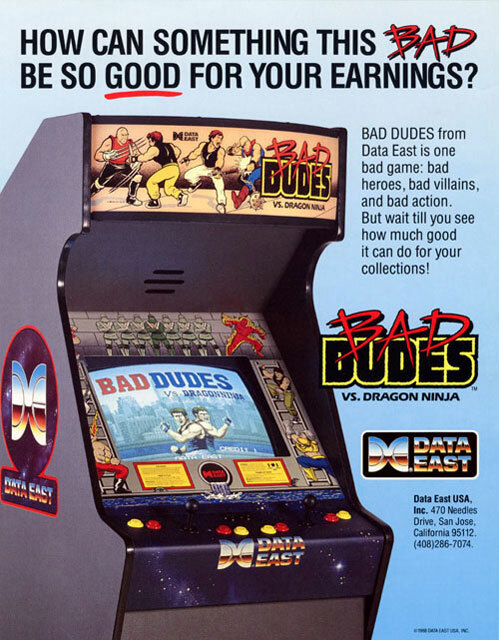 It was developed by the now defunct Data East and released in 1988 for the arcades like the most games at that time. 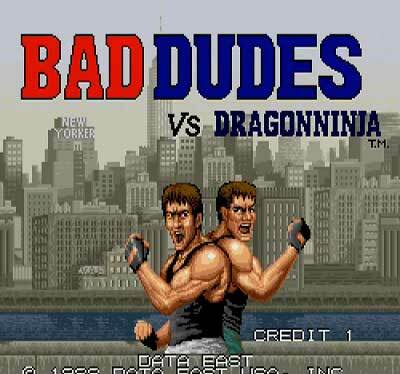 Like in many video games of the eighties, the story is relative simple and about the “Bad Dudes” Blade and Stryker who are fighting the “DragonNinja” clan to rescue the president “Ronnie who was abducted by the DragonNinja before. 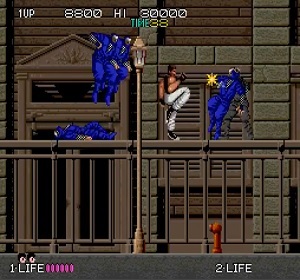 Bad Dudes vs DragonNinja has eight stages and is playable for 1 or 2 players and an early beat’em up without the option to move in the fore or background. 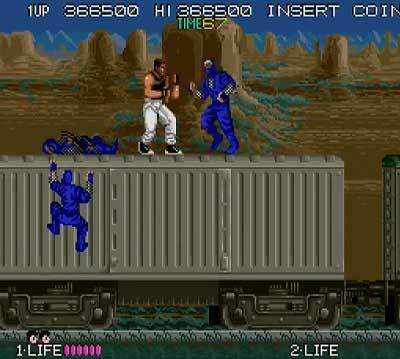 Blade and Stryker can jump, kick and punch, have a few different attacks like spinkicks and also one strong punch which can defeat all normal enemies in front of the player. 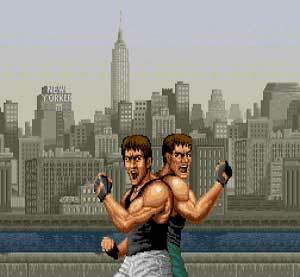 Like in later games the protagonists can also get extra weapons like knives and nunchakus. Other power ups recharge life or add time to the counter. 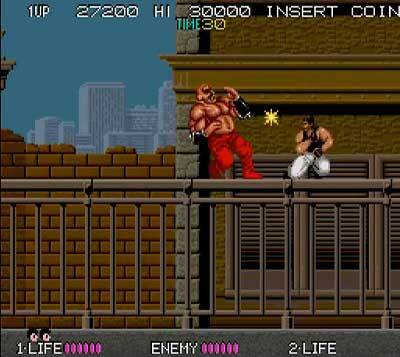 Every stage has a boss including Karnov, an antagonist who appears in multiple Data East games of that time. Blackorb00 is one of the artists in the Game-Art-HQ / Fighting-Games-Elite Community who participated in multiple art tributes from us already. This illustration is his currently latest one, if you like his art, please either visit his dA gallery and/or check the art by him featured on Game-Art-HQ! “R U a bad enough dude? 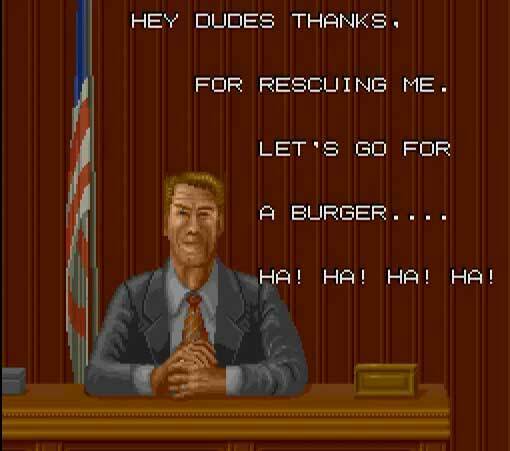 The guys who risked their lives for a cheap cheeseburger, and RESCUED president Ronnie from the evil Ninja organization with nothing but a bad attitude and a bunch of steroids.